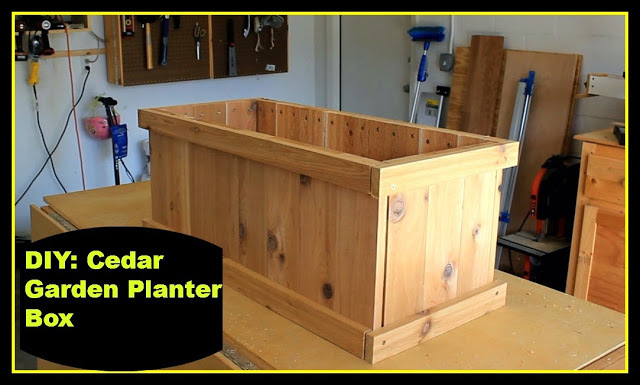 Several years ago we built a functional and attractive cedar planter box. It has been one of our most popular videos on my YouTube channel. If you missed the project, you can check it out here. Because of it's popularity it's received both positive and negative comments as any video that has any kind of visibility will have. "Wouldn't the wood get destroyed and get too much moisture from the water, when you are watering the plants?" "Give it one season and that planter box is toast." "That thing will fall apart. That is a waste of cedar." I ignore these naysayers and am always amused by comments such as these. Especially the ones that say it will last a year when the video has been up for several. My thoughts always start at, "bwahahahaha!!!!" That's because our planter has been an enormous success and my wife and kids love it. It is still going strong even after being subjected to our harsh Florida climate for several years. I always like to say that because we have two growing seasons down here you can double the age of garden items such as this. It's even been through a hurricane. Did a video on that as well. Take a look. Despite the hurricane, our cedar planter box survived fine. It's now several years old and has survived it's share of some outdoor extremes. 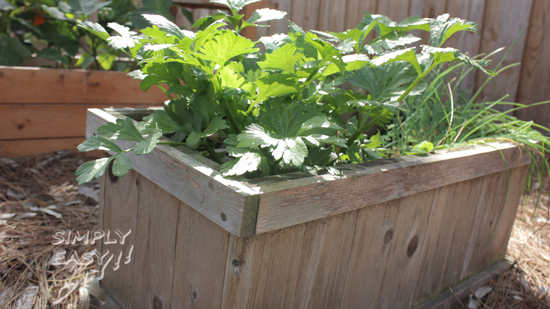 I'm pleased to report that it's still in use and currently housing our home grown celery and chives. We've grown mainly vegetables in it because we like our edibles. Some of our bounty has been a crop of carrots, then some kitchen herbs, and sometimes bell peppers. Are you dreaming of your own spring and summer bounty? 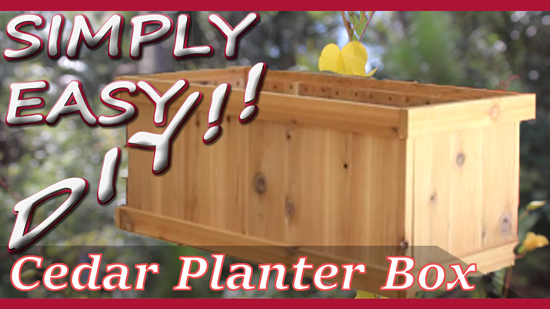 Give this planter box a try! It's affordable to make and easy on the wallet. Here's a link to our free plans. If you're into DIY and want to learn more about us, don't forget to subscribe to our channel, Simply Easy DIY. Follow all of Stan Sullivan's adventures in building and Happy DIY'ing!